Selina Kyle comes to the fore this week as a pair of demented kidnappers target the homeless children of Gotham. For an episode entitled “Selina Kyle,” we sure didn’t really get to spend a large amount of time with Gotham’s future, feline femme fatale. At this early stage in the series, there is plenty of sense in keeping Selina shrouded in a little mystery, but she didn’t really have much to do until the last act of the episode. Camren Bicondova had very little to do last week other than stalk around in the shadows, but she fared OK when given a meatier role this week. The villains of the week were an effectively creepy pairing who unfortunately didn’t seem to have much in the way of smarts. Frank Whaley and Lili Taylor brought a disturbing energy to the roles, but they quite simply weren’t the smartest tools in the shed. Right from the very off they found their plots being foiled by teenagers, and I can’t help but feel that so much more could have been done with the characters. Their nefarious plan of kidnapping children held the potential for a very creepy storyline, but the bumbling incompetence of the characters took away a lot of the threat. Fairing much better again this week was some of Gotham’s other villains. 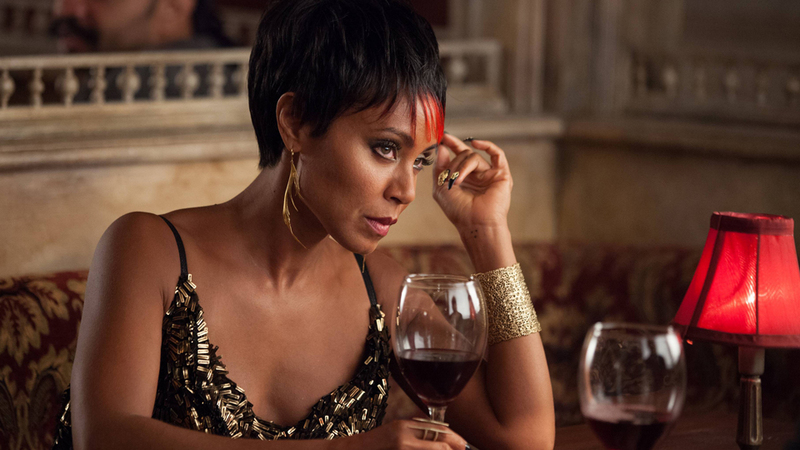 Fish Mooney’s plans to overthrow Falcone hit a little snag as Falcone paid her a visit and let her know that he’s still in charge by having her lover beaten in front of her. 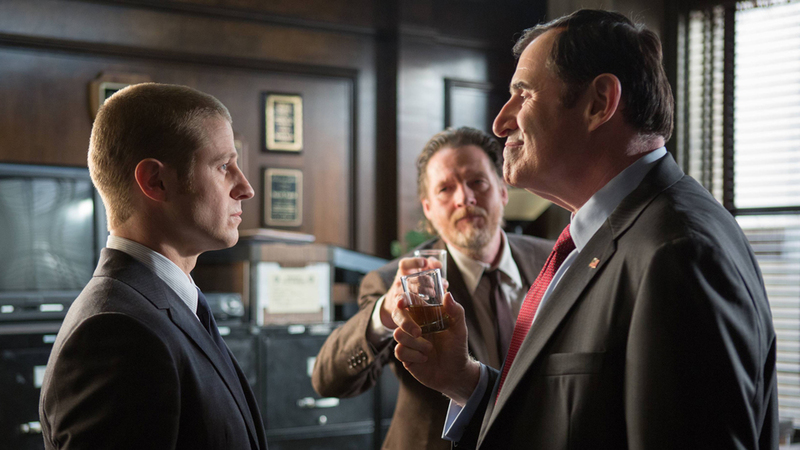 Mooney’s scheming to overthrow Falcone already feels like it could develop into one of the strongest ongoing storylines on the show, and there’s a total wild card factor in all of this in the shape of Oswald Cobblepot. Our soon to be Penguin finds himself starting from the very bottom here, bottling frat boys and making ransom demands from a run-down trailer in the middle of nowhere. Robin Lord Taylor continues to excel in the role, and so far his performance is high on the list of reasons to watch Gotham. The Gordon and Bullock dynamic remains a strong point of the show too, with Gordon faring a bit better this week. I would have liked to see more of the fallout and reaction to Gordon’s “murder” of Cobblepot, but with how corrupt the Gotham P.D. 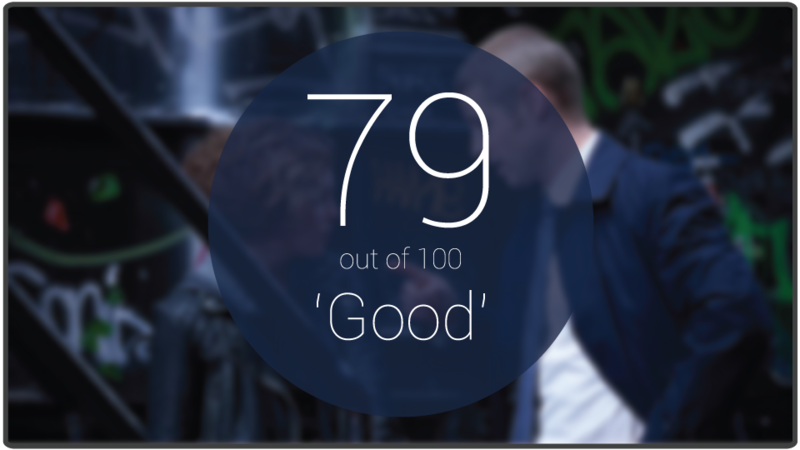 appears to be, there’s a good chance that nobody really cares. Gordon also paid a visit to Bruce after Alfred requested his help. Watching Bruce Wayne grow up and become the man who will be Batman could be fascinating to watch, and for now it’s proving to be a good part of the show. Bruce has already turned to some pretty dark stuff, even burning his own hand at one stage. I’m curious to see just how dark they’ll go with Bruce, and whether Gordon will take it upon himself to try and get through to him on a regular basis. As I mentioned earlier, we didn’t get too much of Selina Kyle, but the scenes she managed to give us showed a decent view of the kind of person she is. She prefers to go by the name Cat (har har), is very resourceful, and definitely isn’t afraid to brutally gouge someone’s eyes if she needs to. We also got a mention of her mother here, which would definitely be an interesting place to take the character assuming her mother is in fact truly still alive. She has also managed to tie herself into the main Wayne murder storyline, with her confessing to Gordon that she was there and saw who the real killer was. Now that the case has been closed and Gordon has begun semi-infiltrating Gotham’s underworld, I’m hoping we get to see him covertly investigating the murders. Gotham has started well, and one of my complaints from the pilot has already started to be addressed. “Selina Kyle” started to set the series apart from its Batman foundation and develop its own storylines. The eponymous Selina Kyle didn’t really make a massive impression this week, but with her now involved in the main storyline, there’s likely to be plenty of time for her to show her worth. Robin Lord Taylor remains a delight to watch, and plenty of morsels hint at secrets and mysteries yet to be reveal that we can look forward to. Will Selina’s mother have a part to play in the series or was that just a little teaser from the writers? Let us know in the comments below.